Welcome to the Winter Wardrobe series, a count-down to the holidays of four outfits for your winter comfort and holiday festivities! 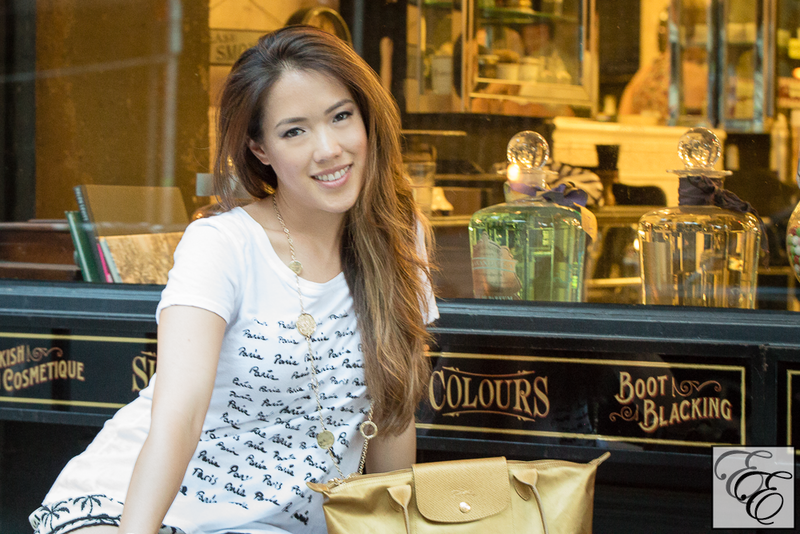 I had fun collaborating with Nha Phan of JustPictures. Like me, Nha is a techie by day, and a (photography) blogger by night. She shoots a range of photography, from fashion to couples to wedding. We’ll be presenting a series of looks ranging from casual to holiday glam. Make sure to check back as these are unveiled over the next few weeks! First up, we have a warm and soft look for lounging around in comfort. 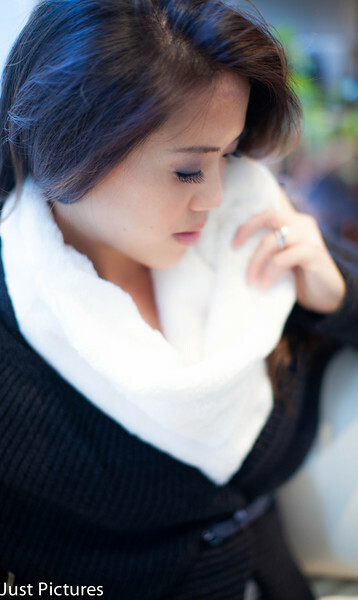 Make yourself instantly into a cuddle magnet when you snugly wrap this around yourself, with this luxuriously-soft blend of cashmere, silk, and wool. For relaxing indoors, this circle cardigan – named so because the circular shape of the sweater manifests as a wide cowl-neck border that you can either pull up around your neck or pull outwards to more widely drape your shoulders – is the coziest cover-up thrown over leggings and a ribbed tee or thermal. It looks deceivingly shapeless before you put it on, but a well-made, thick one will yield a close fit and shape to your body, versus a lighter version that will just hang straight down. You can also cinch a skinny belt over the sweater, or top it off with a contrasting scarf, as I did with this ivory faux fur infinity scarf. Ready to snuggle up in warmth through the winter!